This is a fun and easy craft even for young children. There are no rules as to how the decor balls should be decorated and it is relatively easy to clean up the mess. 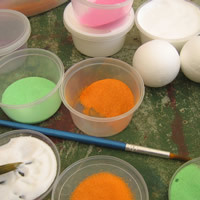 Perhaps the older children can use the Sand Art Kit and the younger ones can be involved in the colouring of the balls. Read through all the instructions first before starting this craft. Make sure you have everyting you will need at hand and that your working area is clean and tidy.  Cover your surface with plastic or brown paper. Decant your sachet of sand into manageable amounts by placing it into containers with lids. 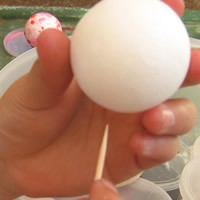 Take one of the polystyrene balls and push a skewer into the centre of the ball, this will be your handle. 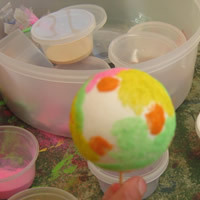 With your paint bush paint dots of Modge podge onto your ball. Hold your ball over an empty container (empty plastic ice-cream container will do). 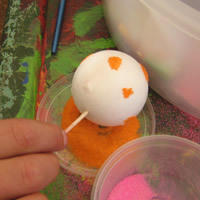 Sprinkle the sand onto the ball, this will stick to the modge podge. 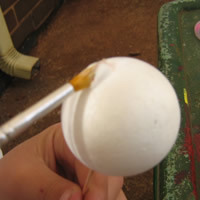 To dry the ball put the skewer into a block of polystyrene. 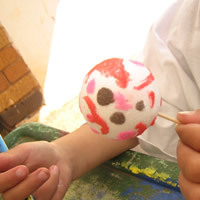 Take another ball and paint a design on it using modge podge. Work with a few balls at a time allowing the modge podge to dry and the sand to stick firmly to the ball before you handle it again. Keep decorating your decor balls in this manner until you have made the required amount. A bowl of decorated balls will look lovely on your Christmas table. To make Christmas tree decorations, glue ribbon loops onto the decor balls using jewel glue. Allow the decor balls to dry for about four hours before glueing on the ribbons.